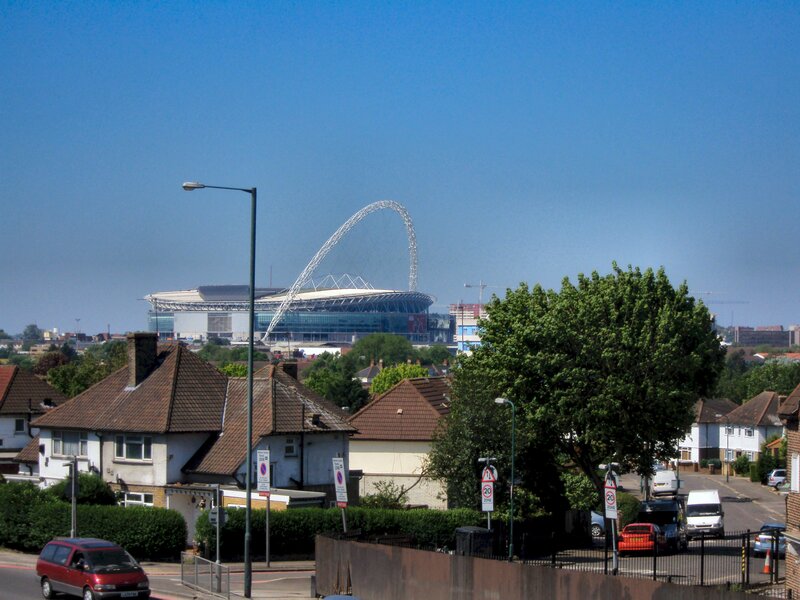 The elegant arch of Wembley Stadium, as seen from a footbridge over the North Circular at Neasden ;). 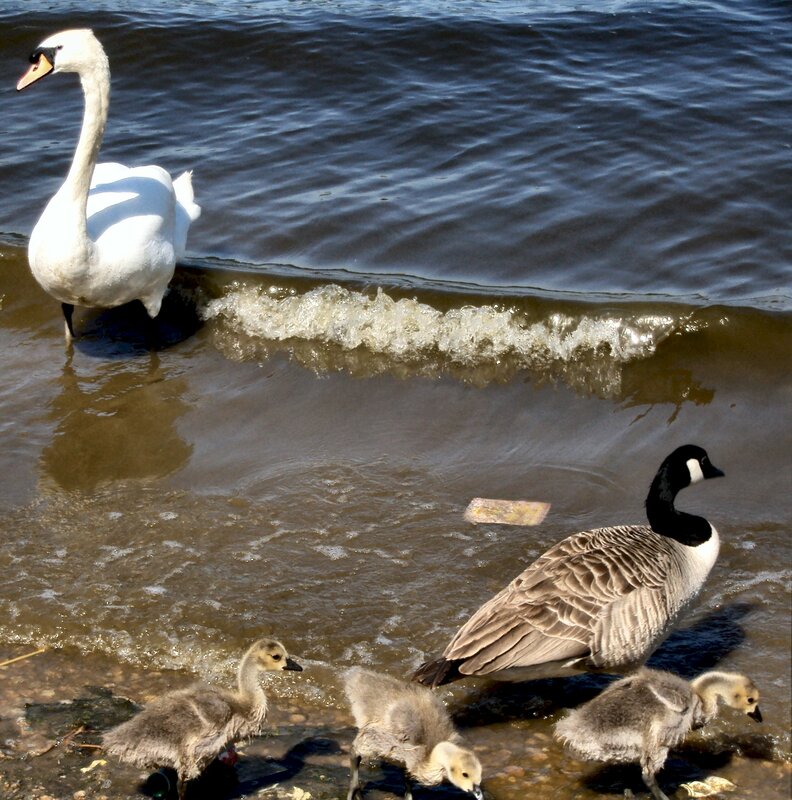 A swan, a Canada goose and three goslings, on Brent Reservoir, photo taken in Neasden Recreation Ground. 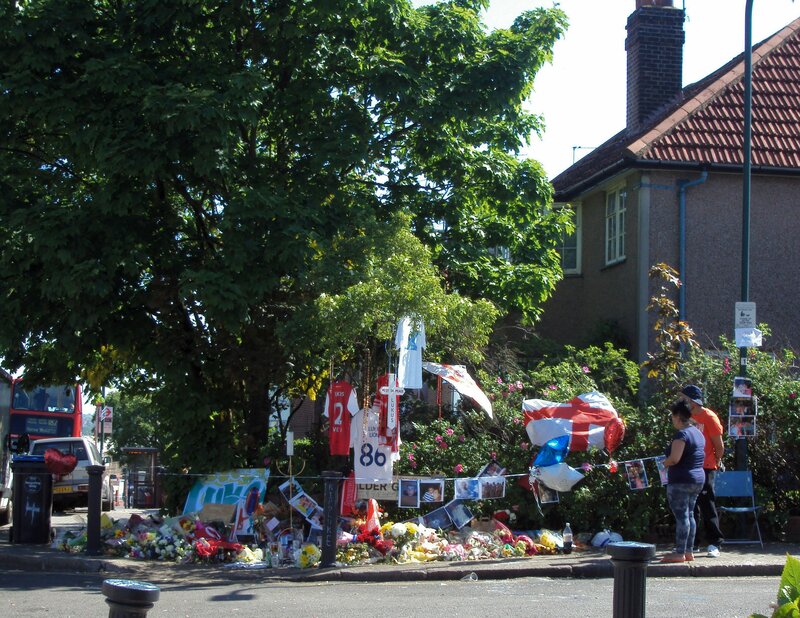 Floral tributes for 25 year-old Luke Fitzpatrick, victim of a stabbing at this location in Dollis Hill, on the corner of Crest Road and Alder Grove, a week ago..:(.